With today’s PBE (public beta environment) update for League of Legends we received a couple of treats. Probably the biggest of all is the splash art for the upcoming champion Zac’s Special Weapon skin. •Karma’s W2 now heals for 20% of her Missing Health, with .01 ratio (1% per 100 AP). Tiger Stance ( Q ) mana cost adjusted to 47/44/41/38/35 from 50/46/42/38/34. Tiger Stance ( Q ) now deals magic damage (again), rather then physical damage. Turtle Stance ( W ) mana cost adjusted to 47/44/41/38/35 from 50/46/42/38/34. Bear Stance ( E ) mana cost adjusted to 47/44/41/38/35 from 50/46/42/38/34. Bear Stance ( E ) now properly lists that it ignores unit collision. Phoenix Stance ( R ) mana cost adjusted to 47/44/41/38/35 from 50/46/42/38/34. 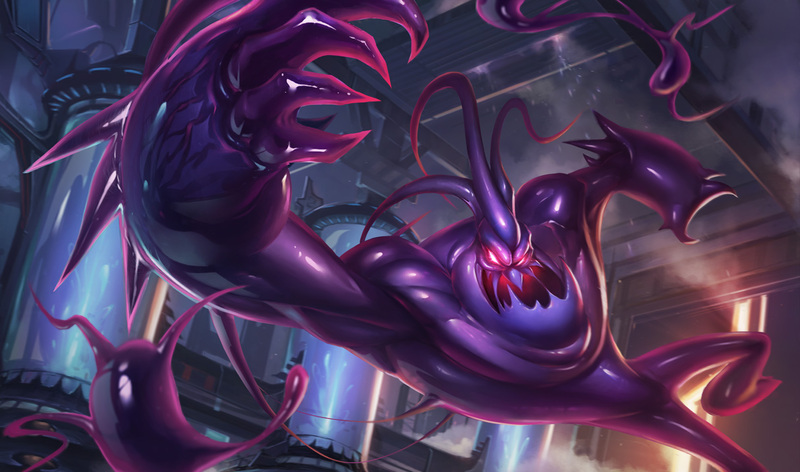 That’s it for today’s League of Legends update, what do you think of Special Weapon Zac’s splash art? Let us know in the comments!